“Lovers of Telegram” is a parody love song for Telegram, after millions of Iranians were blocked by the government from using it. Iranian musical group DasandazBand has recently seen their parody love song about the filtering of Telegram go viral on social media. Another is “The state of Iranians who go outside of Iran for five days,” which jokes about all the fake luxury such Iranians post on their social media accounts alongside their misplaced sense of being non-Iranian. 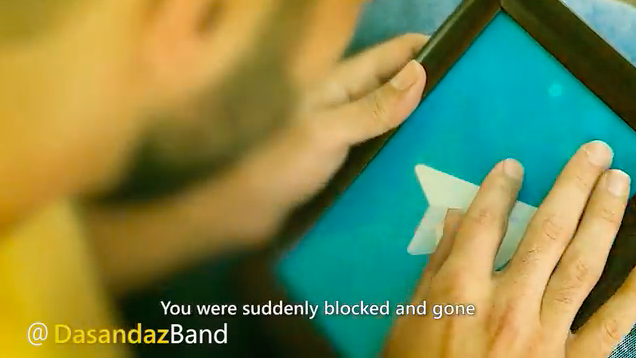 The music video that went viral from DasandazBand, however, was about the government's decision to censor a platform used by almost all of Iran's internet users: the messaging service Telegram. Iran counted more than 40 million users of the app who relied it for a wide range of purposes including business, entertainment, communicating with friends and family, news, university, work, and politics. The Iranian Judiciary issued an order on April 30, 2018 to block Telegram on national security grounds, a decision which seems to have been driven by the platforms perceived role of the platform during the January 2018 protests. Other reasons given for the order included Telegram’s failure to relocate its servers in Iran in compliance with Iranian law – i.e. potentially making the data of its Iranian users accessible to authorities – and its refusal to work with the Iranian authorities to regulate content on the platform. The band released the video on their Telegram channel on May 8, a few days afterward. 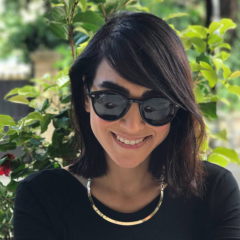 DasandazBand is based in Iran and maintains a channel on Iranian video host Aparat (YouTube is blocked in Iran), a platform that abides by the Islamic Republic's moral and political guidelines and thus censors content. It's notable, therefore, that DasandazBand has not featured its Telegram music video on Aparat, but only on their Twitter and Telegram accounts – both platforms that are now blocked in Iran. On Telegram, DasandazBand's small following of only a few thousand saw the video receive over 40,000 views and widely shared and discussed on Twitter as well. Measurements by the University of Tehran's Social Labs and the Google App store in Iran have both indicated that despite the censorship of Telegram, Iranians are increasingly finding effective circumvention tools to access the app. While usage of Telegram dipped when it was first filtered on April 30, recent weeks have shown usage in Iran slowly returning to former levels.